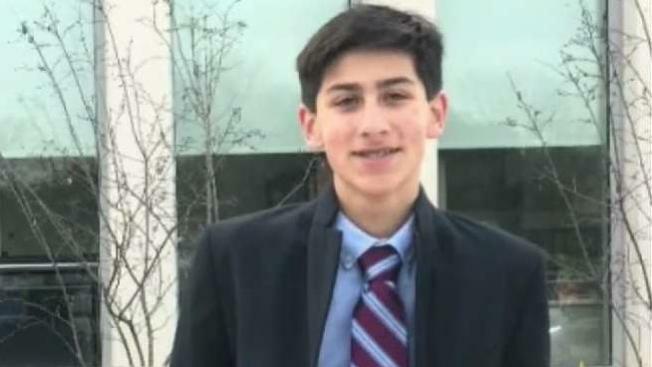 Guilford police have arrested a juvenile in connection with the January shooting death of 15-year-old Ethan Song. The juvenile was charged Monday with second-degree manslaughter, according to Guilford police. The suspect's identity will not be released due to the juvenile's age, police said. On January 31, police were called to 104 Seaside Ave. for reports of a gunshot victim and found 15-year-old Ethan Song. He was taken to Yale-New Haven Hospital, where he was pronounced dead. In a report released last week, the Waterbury State's Attorney's office said its investigation determined Song accidentally shot himself in the head with a .357 magnum handgun and called the death a "horrific and preventable tragedy." At the time, police said Song was with another teen and no adults were home at the time of the shooting. Song did not live in the home, police said. The same juvenile was charged with first-degree reckless endangerment in connection with an earlier incident before Song's death, police said. The state's attorney's report revealed the juveniles had played with guns they found stored in a closet in the home several times, then returned the guns to their original hiding place to avoid detection. According to the report, the weapon was stored with two others in a cardboard box inside large Tupperware in a master bedroom closet of the home. Each weapon had a gun lock and there was no evidence that the weapons were loaded, but investigators determined that the keys to those locks and ammunition for the guns were also hidden in the closet. The state’s attorney’s report said the circumstances of the case do not support prosecution of the gun owner. The storage of the weapons did not violate Connecticut law, nor is there any evidence that the gun owner knew or should have known that juveniles could access the guns without permission.